Beef curry or BO Cary is cooked with a recipe so it has a good appearance, with the perfect collocation of colors; yellowish potato, red or orange carrot, brown beef and green broccoli. After Stewing for almost an hour in the whole cooking, the beef tastes quite tender, and vegetables are soft enough. Using the curry powder, makes the dish a little bit spicy, but still very aromatic and delicious. 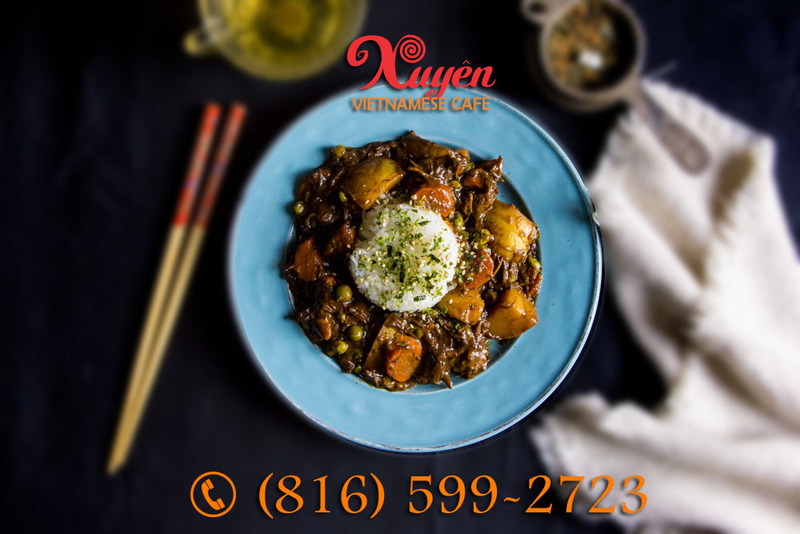 Bo Cray or Beef Curry with Potatoes and Carrots is welcomed for a number of reasons – It is because, visual feast with bright colors, exotic flavor with fragrant and spicy curry, satisfactory nutrition value with the combination of meat and vegetables, and crunchy and soft taste. The word “curry” is originated from Tamil, has meaning of a “variety of spices” are cooked together. It is right the way how curry is made. Curry is usually used for cooking Indian, Thailand and Japan foods, and is served up with rice, meat or vegetables. Now it has been a common seasoning in many countries and areas especially Asia and now in United States, as well as in Gladstone, Mo. Besides the Beef Curry with Potatoes and Carrots, curry mutton, curry seafood, and curry chicken attract a great many diners. Note: The amount of the ingredients and seasonings above can be appropriately used according to one’s personal taste.